You are in your bathroom one day and discover that there is now a crack in the bowl of the toilet and as a result, it is beginning to leak water every time it is flushed. If this describes your situation, then do not feel that you are completely powerless and that there is no solution to the problem. Thankfully, all that you need to do is to simply purchase a replacement toilet bowl! 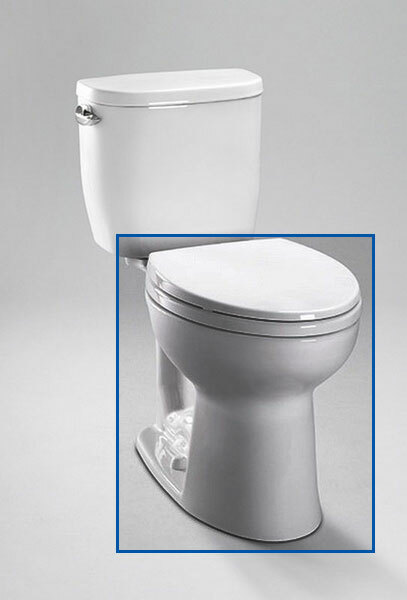 The Toto Entrada Toilet Bowl (1.28 Gpf, Round) - Cotton has been engineered by its manufacturer for such a situation. 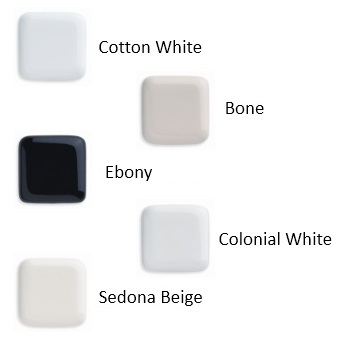 It is easy to install and maintain, making sure that you and your family will have a top notch toilet. I measured 13 1/2" from the back wall excluding the baseboard to the center of the bolts of my present toilet. Will this TOTO Entrada 243 or the TOTO Drake C743E toilet fit my space? Both of these toilets have a 12" rough-in, which, while being shorter than your current toilet, should fit well in your space.